Research Roundup: GM Pigs and hope for the organ crisis, tiny robots helping to cure bacterial infections and more! Progress to end the organ donor crisis being made thanks to GM pigs. We have previously written about the use of genetically modified pigs and their valuable role in attenuating the organ crisis here. Since then, it was discovered that latent viruses in pig tissue, could infect humans – making organ transplants even more difficult. 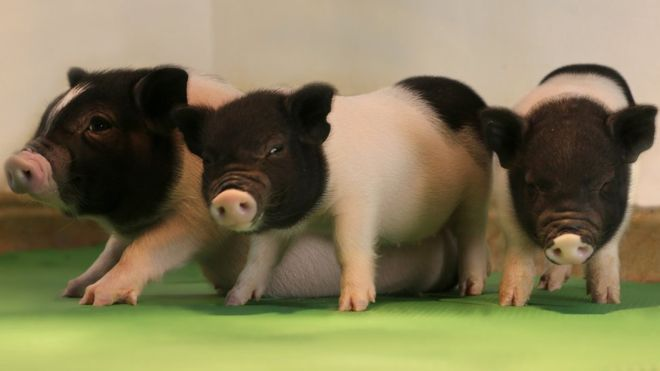 In the present study, researchers using CRISPR were able to delete 25 porcine endogenous retroviruses (Pervs), hidden in the pig’s genetic code, and using cloning technology, were able to place virus free genetic material into a pig’s egg and create embryos. While still an inefficient process, this proof of principle study led to birth of 37 healthy piglets and hope for an end to the organ crisis. This research was published in the journal Science. 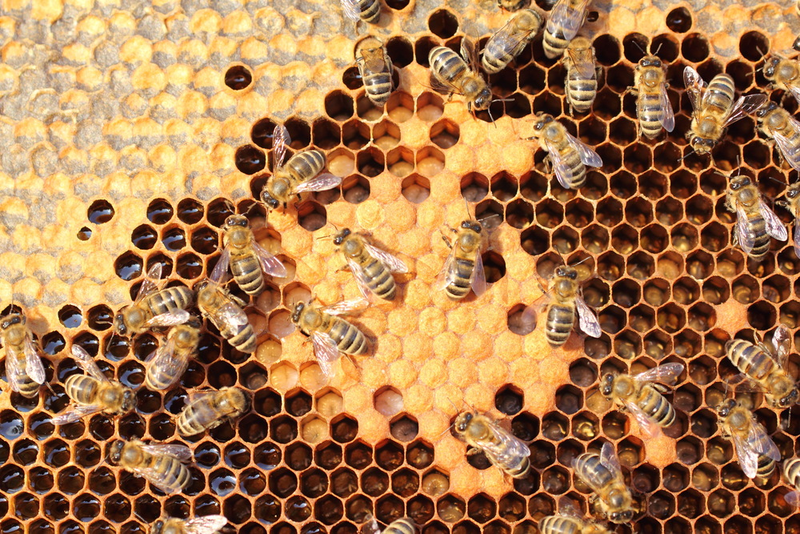 Why does Queen Bee’s Royal Jelly heal wounds? For many centuries, honey-bees have been regarded as one of nature’s pharmaceutical companies because of the natural health benefits — antibacterial, anti-inflammatory, and immunomodulation — of honey, bee pollen, and royal jelly. Unfortunately, because bees are not highly regulated like pharmaceutical companies, their byproducts may contain pollen that causes a range allergic reactions in humans; for example, ragweed pollen. In efforts to take advantage of the healing properties of royal jelly, and remove the unknown side-effects, researchers from Italy and Slovakia set out to identify why royal jelly can heal wounds. They first isolated various molecules in the royal jelly and tested it on in vitro cell cultures for wound healing after mechanically scratching the cells. From these tests the scientists were able to identify defensin-1 as a possible wound-healing peptide. To determine the wound healing properties of defensin-1 they treated experimentally identical wounds on rats with either defensin-1, royal jelly, or cellulose-based gel (control). Through these experiments, they demonstrated that defensin-1 facilitated healing as much as the royal jelly in comparison to the control — which did little to facilitate healing. This research opens the possibility of a new healing agent from honey-bee byproducts that is free of the potential side-effects of allergens. This study was published in Scientific Reports. Cardiac stem cells from young hearts could rejuvenate old hearts. “Cardiac stem cells from young hearts could rejuvenate old hearts: Animal study reveals that cardiosphere-derived cells secrete tiny vesicles that could ‘turn back the clock’ for age-related heart conditions,” says a statement from Cedar Sinai Medical Center. Dr. Eduardo Marbán’s research team injected a specific type of stem cell from newborn research rats into aged rats. Their findings in the recipients showed improved heart function, longer heart cell telomeres (which usually shrink with age), increased exercise capacity and faster hair growth. More study is needed to fully understand the applications for treatment of human disease. Dr. Lilian Grigorian-Shamagian, co-primary investigator and the first author of the study, indicates that they want to determine whether this therapy will result in longer life spans and if the stem cells must come from a young donor to have the rejuvenating effects. This study was published in the European Heart Journal. Tiny robots used to cure stomach bacterial infections in mice. Current treatment of bacterial infections of the stomach, such as ulcers, leads to nasty side effects because of the use of proton pump inhibitors.These inhibitors are needed to suppress the production of gastric acid in the stomach which otherwise would destroy antibiotics before they had an opportunity to work. In a proof of principle experiment these researchers used a vehicle with a spherical magnesium core to deliver antibiotics. By exploiting the chemical reaction of magnesium and gastric acid these researchers were able to successfully dose mice daily with antibiotics across 5 days. Because the by-product of magnesium interacting with gastric acid is the production of hydrogen bubbles – the vehicle naturally moves through the stomach. The vehicle itself is sensitive to surrounding acidity and only releases antibiotics once acidity is lowered. Moreover, the vehicle itself is made of biodegradable materials – causing no harmful effects. This research was published in Nature Communications. Schematic displaying the loading of antibiotic unto magnesium based micro-motors. A study in Siberian hamsters suggests that exposing parents to dim night light can lead to depressive-like behaviors in their offspring. There is an established link between light levels at night and depressive behaviour, but this study looks at the impact on the next generation. 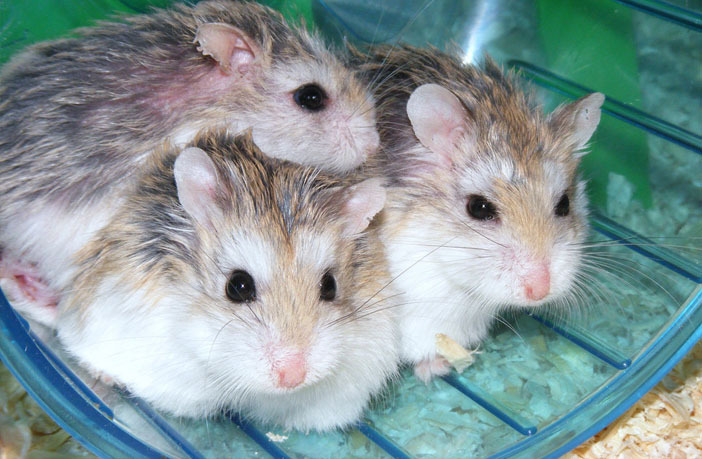 Now, researchers at Ohio State University Wexner Medical Center exposed Siberian hamsters to low level night lighting (five lux – less than would come off a mobile phone) nine weeks before mating. They found changes in the neuroendocrine system of the offspring higher levels of depressive-like behaviour when those animals became adults. This study was published in Psychoneuroendocrinology. Posted on August 18, 2017 by EditorPosted in News, Research RoundupTagged depression, GM pigs, organ donor, rats. Science and technology have made major changes to the way we live in recent years. And many people view organ donation as a final altruistic gesture of helping others.